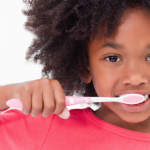 Visiting the dentist throughout childhood is an essential part of staying healthy. Too often, a lack of resources and job flexibility make it hard for parents to take children to the dentist. That puts children of all ages at a higher risk for tooth decay, which may lead to chronic pain and even dangerous infections. 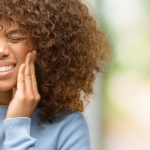 Children with oral health problems are three times more likely than their peers to miss school, and dental pain is associated with poorer academic performance. 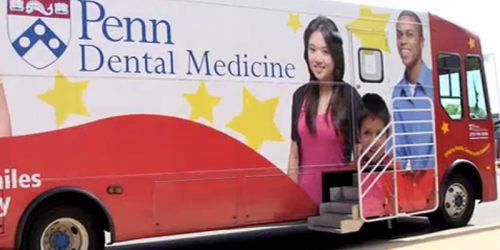 School of Dental Medicine has operated the Penn Smiles Bus, a mobile dental office providing dental care to children. We visit elementary, middle and high school students in private and charter schools in West and Southwest Philadelphia. PennSmiles partners with the School District of Philadelphia in administering services. Many students in the district’s 24 schools depend on Medicaid or CHIP insurance. 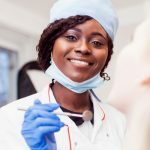 After school district budget cuts reduced funding for oral hygiene programs in past years, Penn began its partnership with the district to meet children’s dental needs. Engagement with our community is a fundamental pillar in the mission of the University of Pennsylvania. By working with community leaders on the area’s health problems, Penn hopes to strengthen its surrounding neighborhoods. A lack of transportation to the dental office. Limited or no dental insurance. Insufficient resources to pay for dental care. With these kinds of problems facing many families in the area, Penn Dental realized that it was necessary to go mobile—to take the dental care straight to the children who need it. With its vibrant photographs and friendly staff, the Penn Smiles Bus is a welcoming presence at Philly schools. Each day the bus goes out, Penn’s dental students and faculty provide care for up to 12 patients on the bus as other public health dental hygienists provide preventive dental care education to students. 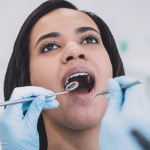 As a team, the Penn Bus members cover all the important aspects of diagnostic, preventive, and restorative dentistry. Inside the Penn Smiles Bus, there are two chairs for treatment with all the dental technology that is normally present at a dentist’s office. The waiting room is equipped with educational materials. In addition, the Penn Smiles Bus utilizes the same electronic health records and digital radiology system used at Penn’s dental school. That means that every child who is treated on the bus is a patient at Penn Dental Medicine, allowing for easy referrals when specialized care is needed. For the past 15 years, thousands of children have received education, preventive care and dental treatment on the PennSmiles mobile dental office. Last year, in 2017, we upgraded to a new dental vehicle to continue our history of dental care in the community. We are excited for the new 2018-19 school year to gear up for another round of visits to the schools and children we care about so much! Look for our bus this year, and feel free to give us a call at 215-898-8965 to invite us to your child’s school!